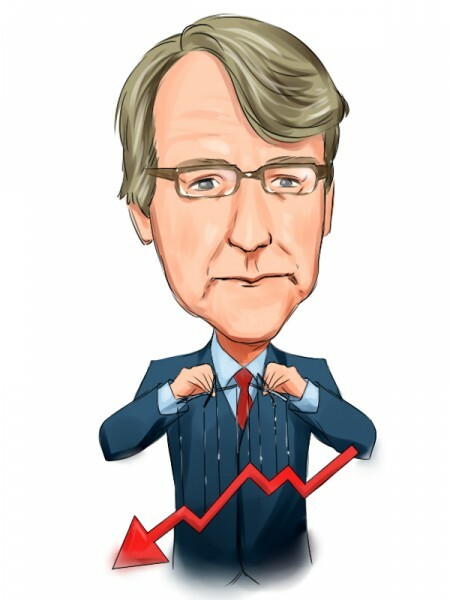 Jim Chanos is running the biggest hedge fund that employs mainly a short-selling strategy to obtain returns. Even though his fund, Kynikos Associates, invests in long positions as well, it has an equity portfolio of around $254 million, which is a small portion of the total amount of assets under management, which amount to $6 billion. In a recent intervention on CNBC, Mr. Chanos has discussed some of the companies that he is short on, such as Intel Corporation (NASDAQ:INTC) and Caterpillar Inc. (NYSE:CAT). In addition, the investor presented his thoughts about buyback programs and short strategy regarding oil stocks. Regarding Intel Corporation (NASDAQ:INTC), Mr. Chanos said that PC makers are under some “discontinued pressure,” which is why he is short Intel over the last six months. The founder of Kynikos considers that the company’s stock might be overvalued since it was trading between $15 and $25 per share for a long time, and a couple of months ago it went up to around $35 per share. Moreover, the company is facing the same issues as PC makers. At the same time, Intel Corporation (NASDAQ:INTC) has missed taking advantage of the growing mobile devices segment and it has gross margins of 60%, which are too high among chip makers. On the other hand, Mr. Chanos is long Apple Inc. (NASDAQ:AAPL) with Kynikos reporting ownership of 63,115 shares in its latest 13F filing (down by 52% on the quarter). The investor considers that Apple is a company that continues to innovate and its stock can be bought at a lower multiple than some of its peers. While Mr. Chanos is short on Intel, many investors seem to be bullish on the company. Jean-Marie Eveillard’s First Eagle Investment Management and Ken Fisher of Fisher Asset Management are two of the largest shareholders of Intel among funds that we track. In the previous round of 13F filings, First Eagle disclosed holding 40.33 million shares of the company, up by 3% on the quarter, while Fisher Asset Management reported ownership of 18.93 million shares, down by 1% on the quarter. Another stock that Kynikos is short on is Caterpillar Inc. (NYSE:CAT). Mr. Chanos considers that the company is involved in three segments, two of which, mining and energy, are “increasinlgy challengened.” According to the investor the situation is worse than last year, when only the mining business was in trouble. In addition, Caterpillar Inc. (NYSE:CAT) is not likely to reach its EPS target of $6.50-$7.00, Mr. Chanos added. Michael Larson’s Bill & Melinda Gates Foundation Trust is one of the funds that holds a long stake in Caterpillar Inc. (NYSE:CAT), which contains 11.26 million shares as of the end of September, while the $1.12 billion position amasses over 5% of the Trust’s equity portfolio.